EVERYONE GOING TO CAMP SHOULD READ THIS!! Please be advised that every person staying in the hotel must be listed through the hotel registration process. If you are a couple, it is not enough to list yourself alone, thinking that if you have a room then your spouse or roommate is good to go. The hotel needs an accurate listing of each person in each room in order to properly guarantee the meals as well as the beds (doubles versus kings). If you have already registered and did not list your roommates, the other people in your room must reserve a room in their name as well. By listing your roommates, the hotel matches those sharing a room together – you will not each be assigned a separate room but will be connected through the hotel database. It is never too late to add someone, as long as the next person notes that you are in their room. Multiple people can be processed at the same time if you chose more than one guest. This will make you fill out private info and check in/check out dates for them, as well as assign a credit card for each person. You can use different credit cards for each person at this point if you wish. If you do not register as more than one guest, and list yourself as the only guest but make note when asked of who your roommate will be, then each person in the room must go to the hotel link after registering for camp and register themselves in the hotel database. 5. chose the number of guests – if you are only reserving for yourself, even if you have roommates, chose 1. You will write the name of your roommates in the text field, and they will then do the same process. This is where the hotel finds the info to match you as sharing a room. 6. If you do not know who your roommate will be you can chose “unknown”. When it is decided, that person will then put your name as a roommate, and the hotel will match you together. 9. your hotel confirmation email will indicate how many people you registered. So, to summarize – each and every person attending camp must go through the USAF camp registration process (including children) as well as the hotel reservation process (either separately, or by having one person list more than one guest in their room and filling out each person’s info). This will guarantee that when you check in you will have the proper room assignments, bed choices, roommates, and meal plans. We will never run out of space for people to take class, but we can quickly run out of hotel rooms as they are booking up quickly. So please don’t wait to register for camp so you can make your reservations, as our blocked rooms are limited. We are excited to announce that you can now register for Summer Camp 2012. We strongly suggest that you register through our online process. It is easy, fast and safe. Your payment for camp will go through the secure paypal site, which accepts any form of credit card. You will receive immediate confirmations, as well be able to book your hotel room to help guarantee your spot. To register online, please proceed to the USAF Store. 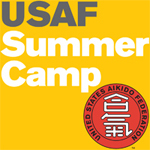 If wish to mail in your registration, you can download the forms here: USAF SUMMER CAMP REGISTRATION FORMS AND INFORMATION. The process for reserving a hotel room has changed, so please read carefully all information posted on the registration pages.